You will need cups or large glasses for this recipe. Take 4 cups or glasses. Add about 4-5 tablespoons of vanilla Greek yogurt to each cup or glass. After that,pour a little bit of milk or plant-based milk in a small bowl. Dip each of the chocolate cookies into the milk. With your hands,crumble the cookies and add them to the cups or glasses.One cookie per cup. Finally,sprinkle the fresh raspberries or other berry of your choice on the top and garnish with some fresh mint leaves. 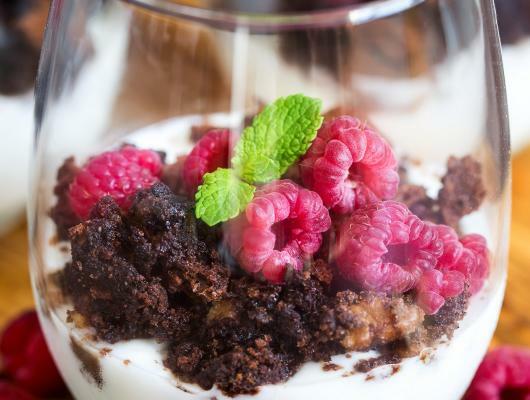 Serve and enjoy the amazing taste of this yummy trifle. 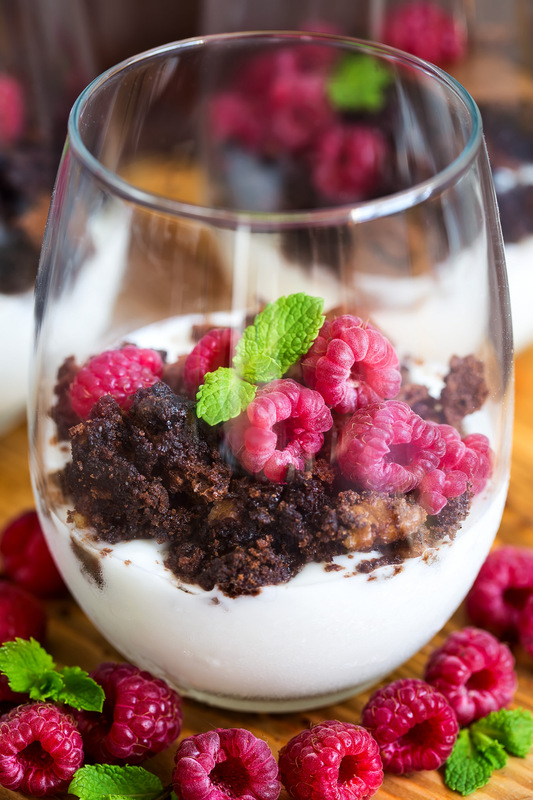 Today,I will show you the best tasting dessert-raspberry and chocolate trifle.This thing is absolutely amazing and taste awesome.